Happy Valentine's Day! 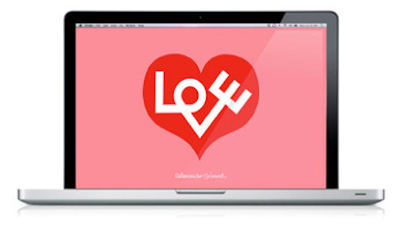 In honor of the occasion, download Alexander Girard's iconic love design in the form of desktop wallpaper at Lagom (via Draw! Pilgrim). Girard, a 20th century artist and modern design master, headed up Herman Miller's fabric and textile division from 1952 to 1975. Just put the love design as my wallpaper for my mac. I love it! Thank you and I hope you have a Happy Happy Valentine's Day! Unrelated, but Real Simple did a piece this issue on how orange was the color of the season. Made me think of you! Awesome. I think I saw a similar piece in the Wall Street Journal. Go orange! Uploaded the design and I love it...thank-you! I love it just what my desktop needed. Happy Valentines day! That's such a nice wallpaper - thank you for sharing! And happy Valentine's Day to you, too!! set it as my wallpaper...and it's so happy!..thank you...and hope you had a wonderful valentine's day!